Jeff Allen - Porter Farm — DOME HEADWEAR CO.
Jeff Allen credits everything to the stability, love, and structure that his grandparents, who essentially raised him, gave him growing up in Texas. With Porter Farm, he’s creating a clothing brand that honors them and gives back to the community. The phrase stuck with Jeff, along with the impact of his grandparents. “They really just inspired me to do something,” he says. With Porter Farm, he’s taking their last name and that memory and bettering the world with it. 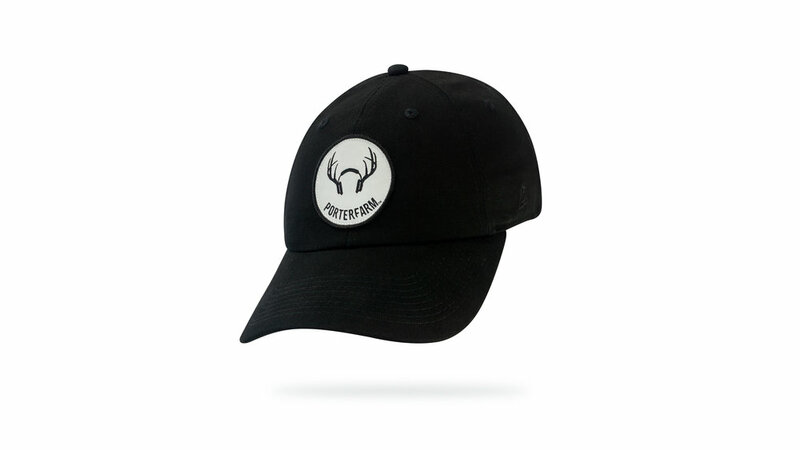 50% of the profit from the hats and shirts he’ll sell with the Porter Farm brand will go towards a charity of the buyer’s choice from the handful Jeff selects. “I just feel like it’s my way of giving back in some way,” he says. Before Porter Farm, however, Jeff has been giving back to the community in another way: music. The Texan has been a touring artist for the past 15 years, including a publishing deal at Sony. Connect with Porter Farm on Instagram, and follow Jeff Allen on Instagram.